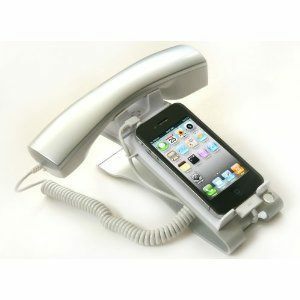 iClooly Phone Handset and Sync Stand for iPhone 4: turns your iPhone into a mini regular-phone. Useful for your office. 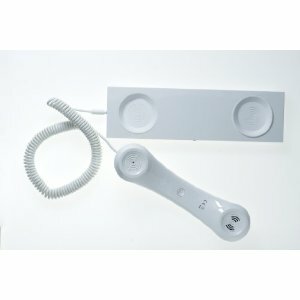 Native Union MM02 Curve Handset: designed to be quite convenient to use for those long talks. It actually reduces the amount of radiation from your phone and has noise reducing technology. 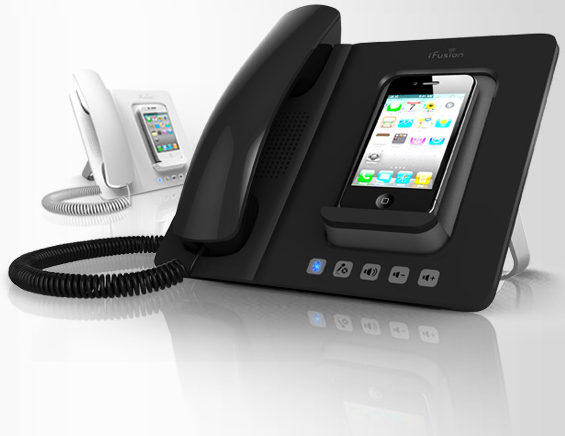 Kee Desk Phone Dock: one attractive phone dock for your iPhone. 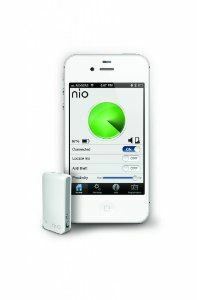 It has two stereo speakers, a� microphone, volume controls, mute capability, and USB & AC support. 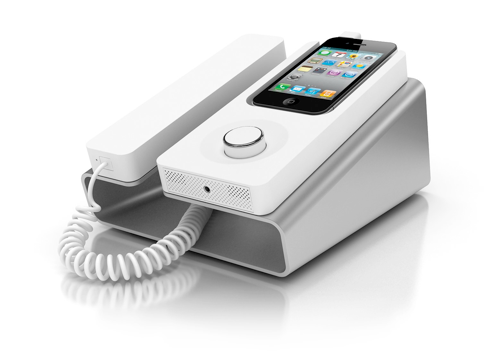 iFusion Smartstation for iPhone: a Bluetooth speaker handset that keeps your phone charged and can play our music. It can be used as a speakerphone too. 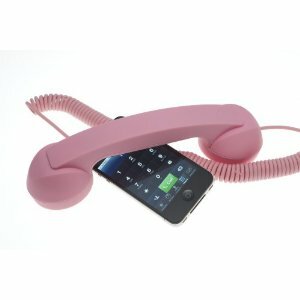 Native Union Moshi Retro Handset for iPhone: perfect for those of you who do not want a fancy handset for your smart-phone. It is flexible and easy to use. Who needs a regular phone when you can use the above handsets to get the same experience out of your iPhone!